Wow…our thirty-third letter…time flies! As usual, we share our latest news, plus you’ll read about some special happenings and offerings that might make your holidays even more joyful (and easier!). On a separate page, I (Dennis) ramble on about a memorable trip that Nancy and I took this past summer to Istanbul, Budapest, Prague and the Austrian Alps. This story even has a little drama…if you can stay awake to get to that part. It is amazing how much we learn about all kinds of things, including ourselves, when we travel. On our adventure, Nancy and I found more reasons to be grateful for you: our guests and colleagues. We are honored that you choose to enjoy QW’s places and that you opt to receive these letters. If you don’t want to keep receiving them, please email us at qwrhinfo@qwrh.com. Conversely, if you wish to receive more frequent news, please sign up on any of our websites or Facebook pages. We love feedback: Please let us know how your experience was while dining or during your stay by emailing us at qwrhinfo@qwrh.com, and/or if the spirit moves you to share some good stuff, please consider putting it on tripadvisor.com. If we could have done something better, please let us know directly at qwrhinfo@qwrh.com. Just an aside: The pronoun “we” seems most appropriate because, though I (Dennis) write these letters, many people contribute to them. 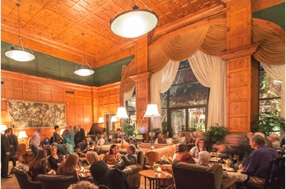 “But what to do with [Dennis Quaintance’s] pride and joy, the Social Lobby of the O.Henry Hotel? Designed after the famed Algonquin Hotel in New York City, long a jazz Mecca unto itself, last September he and [Jazz] curator Victoria Clegg launched Thursday Cocktails and Jazz at the O.Henry. The ongoing series features saxophonist Neill Clegg, Jr. (Victoria’s husband), pianist Dave Fox, both music professors at Greensboro College, and a rotating roster of cream-of-the-crop featured vocalists. To say that it has been a wild success is putting it mildly. Select Saturdays O.Henry Jazz Series (Vol. 1) is from 6:30-9:30 PM on select Saturdays. Schedule: Nov. 14 – Jazz Nomads featuring Randy Craven and Sheila Duell; Nov. 28 – Diana Tuffin; Dec. 19 – Melva Houston; Jan. 9 – Joey Barnes; Jan. 23 – The Quintessentials. Every Thursday Cocktails & Jazz from 5:30-8:30 PM. See the full schedule at ohenryhotel.com. Consider our Select Saturday Jazz Series Package: one night’s gracious accommodations, preferred seating at our O.Henry Jazz Series, a $30 amenity voucher, a Southern-style breakfast buffet and a late checkout. $249 plus tax and gratuities. You can book online at ohenryhotel.com or call (336) 854-2000. Holiday Dining: Get out of the hot kitchen this year and dine with us. Green Valley Grill and Print Works Bistro are both open 12 Noon–8 PM on Thanksgiving and Christmas Day(serving their dinner menus plus a special “traditional favorites” menu), and their bars remain open until 10 PM. Print Works will also serve breakfast from 7:30–11 AM. At Lucky 32 Southern Kitchen in Cary, we’ll be open on Thanksgiving Day from 11:30 AM—7:30 PM, servingour regular menus plus a traditional turkey plate. Greensboro Lucky’s is closed on Thanksgiving. Both Cary and Greensboro Lucky’s will close at 3 PM on Christmas Eve and be closed on Christmas Day. Here’s the perfect holiday gift for the foodie in your life! Print Works Bistro and Green Valley Grill Executive Chef Leigh Hesling will present six classes in 2016, three at Proximity Hotel (Feb. 13, Jun. 18, Sept. 10) and three at O.Henry Hotel (Mar. 12, Jul. 23, Oct. 22). Start with a seasonal cocktail during the cooking demonstration, then savor a three-course meal paired with some amazing wines. Tickets are $80 per class or purchase a three-class package for $225. For tickets, contact Lee Healy at (336) 478-9126 or lhealy@qwrh.com. Turn these Saturday classes into a real weekend by staying overnight. Winter Specials at Proximity and O.Henry Hotels: Neighbors: Share these offers with friends and family coming to visit, or take a break from the holiday hubbub with your own getaway. These offers are available Friday and Saturday nights, November 20–January 23, and every night December 20–24. Sustainable Cheer at Proximity: Check in early and use your $30 amenity voucher for dinner at Print Works Bistro or wonderful breakfast in bed the next morning. Stay cozy a little longer with a late checkout of 2 PM.$229 plus taxes.Book at proximityhotel.com or call (336) 379-8200. 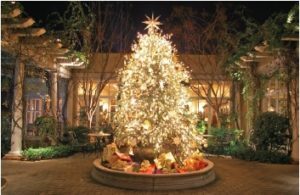 Gift of the Magi at O.Henry: Check in early, then use your $30 amenity voucher for Green Valley Grill, afternoon tea and more. The next morning, enjoy a full Southern-style breakfast buffet overlooking the Cloister Garden and relax with a late checkout of 2 PM. $229 plus taxes. Book at ohenryhotel.com or call (336) 854-2000. Every Wednesday: Mussels-Wine-Music Unwind with friends at Print Works Bistro every Wednesday night with our Chef’s Mussels for $15, five wines from $10 to $15 a bottle and live acoustic music from 7–10 PM by Evan Olson and Jessica Mashburn of AM rOdeO. Fantastic covers and original live music. No cover charge! Songs from a Southern Kitchen: Lucky 32 Southern Kitchen in Greensboro features extraordinary performances by exceptional musicians, impressive Southern snacks and libations. Join local acoustic musicians (such as Laurelyn Dossett or Molly McGinn or Martha Bassett and others) as they dish up some pretty cool vibes to help you chill out. Every Tuesday from 6–9 PM…no cover charge! Visit lucky32.com for the full lineup. Skillet-Fried Chicken: Starting at 3 PM every Sunday at Lucky’s in Greensboro, just after we quit serving our brunch menu, we dish up this extra-special fried chicken! In Cary we serve our skillet-fried chicken every Wednesday from 4 PM until we run out. This is good stuff, pan-fried in locally-rendered lard and served with mashed potatoes, giblet gravy, collard greens and a hunk of dipping cornbread. You can also get it packed up to take home or for a tailgate party. Afternoon Tea Our afternoon tea at O.Henry Hotel has become quite a tradition, so much so that we have expanded the serving hours. Now, our regular hours are Friday, Saturday and Sunday, 12 Noon–5 PM, and Monday–Thursday, 2–5 PM. (December 3–31, Thursday afternoon tea hours are from 11 AM–3 PM to accommodate Thursday Night Cocktails & Jazz.) For reservations, call Green Valley Grill at (336) 854-2015. Let Us Do the Cooking! Here are some options so you can spend more time with family and friends and less time in the kitchen. Thanksgiving-to-Go Orders: To make it easy for you Green Valley Grill is offering Thanksgiving-to-Go. Place your order by 10 PM on Monday, November 23, then stop by on Thanksgiving Day (10 AM–3 PM) to pick up your juicy, wood-fired, rotisserie-roasted turkey with all the trimmings; along with your choice of sides, salad, bread and dessert. To place your order visit greenvalleygrill.com or call (336) 854-2015. We’ve Got You Covered! Heading to a party and need to bring a side dish? Lucky’s offers a yummy party sides to-go menu. Pick up pint and quartoptions of collards, soups, beans and greens, whipped sweet potatoes, creamy grits, pimento cheese, and artichoke dip — and don’t forget the black bean cakes! See our “Party Sides Menu” at lucky32.com. To place an order, call Lucky’s in Cary at (919) 233-1632 or in Greensboro at (336) 370-0707. Nutcracker Tea at O.Henry: This holiday tradition is wildly popular! Treats inspired by dreams of dancing sugar plum fairies, toy soldiers and waltzing flowers will accompany your choice of seasonal tea, warm apple cider or hot chocolate. Children will enjoy decorating gingerbread houses, making holiday crafts and watching vignettes from The Nutcracker performed by the Artistic Motion Dance Company. Afterward, join Clara by the tree as she reads The Nutcracker. Bring your camera! November 29, and December 6, 13, and 20 (All DatesSold Out!). Reservations are filling extremely fast, so call (336) 854-2015. $44 per person for adults and children, plus 20% service charge. Our restaurants and hotels offer gift cards available for purchase seven days a week onsite, or order online at qwrh.com. Customize a gift certificate for a hotel night’s stay (or choose from a variety of packages) for your fortunate recipient by calling Proximity at (336) 379-8200 or O.Henry at (336) 854-2000. Consider ordering our Lucky 32 Southern Kitchen Voodoo Sauce (by the bottle or case) from our online store at qwrh.com or pick up a bottle at Lucky’s. 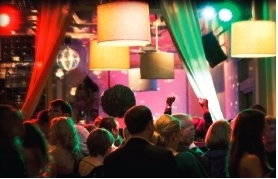 Holiday Parties & Special Events! O.Henry and Proximity Hotels offer bespoke events, from weddings,receptions, luncheons and grand dinners to office parties and retreats. Call our events team at (336) 544-9615 or visit ohenryhotel.com or proximityhotel.com. Lucky’s in Cary seats up to 70 people in a semi-private dining area. Call(919) 233-1632. Lucky’s in Greensboro’s private Starlight dining room seats 10, and we can host larger parties in the dining room. Call (336) 370-0707. For a not-so-private gathering, Print Works Bistro and Green Valley Grill can accommodate up to 30 people in their traditional dining areas. Already have a venue for your event, but need a great place for your guests to stay? We offer special group rates. Call (336) 478-9111. If you know someone who might enjoy playing restaurant and/or hotel with us, please send him or her our way! We need even more enthusiastic, friendly and competent folk to play roles ranging from restaurant service to hotel guest service representative to members of our leadership team. Take a look at qwrh.com/jobopenings.htm for a current listing of open positions. And, please check back often, as we are always adding posts. For reservations and to learn more about our New Year’s happenings, visit proximityhotel.com or call Proximity at (336) 379-8200. 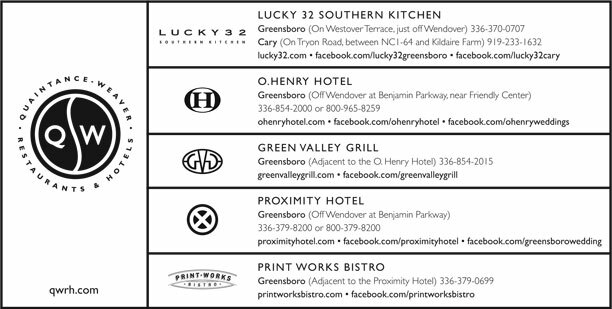 To reserve a table, visit printworksbistro.com or call (336) 379-0699. The Avett Brothers Concert & Room Package: Includes two concert tickets, transportation to and from the Greensboro Coliseum, breakfast in bed and a late checkout of 2 PM. Package available December 31, 2015 only. Very limited availability! $599 plus taxes, and stay an additional night for only $129 more. For reservations, please call (336) 478-9105, Monday–Friday 8 AM–6 PM or Saturday 10 AM–4 PM. To learn more, visit proximityhotel.com. Cheers to 2016 Package: Check in extra-early (at noon) and unwind with housemade treats and sparkling wine in your loft-like room. Take advantage of priority dinner reservations at Print Works Bistro, then join the New Year’s Eve Pop-up Dance Club from 10 PM–1 AM. The next morning, enjoy breakfast in bed and an extra-late checkout of 4 PM. $329 plus taxes and gratuities, and stay an additional night for only $129 more. 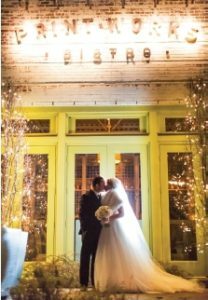 Print Works Bistro New Year’s Eve Celebration: Full dinner menu and a special four-course prix fixe menu, plus our Pop-up Dance Club at 10 PM, featuring DJ Jessica Mashburn. The party won’t stop until 1 AM. No cover charge! January 1, nosh on brunch from 7:30 AM– 4 PM. For reservations and to learn more about our New Year’s happenings, visit ohenryhotel.comor call O.Henry at (336) 854-2000. To reserve a table, visit greenvalleygrill.com or call (336) 854-2015. Ring in the New Year Package: Celebrate with a bottle of sparkling wine and housemade treats in your guestroom after an extra-early (noon) check-in. Enjoy priority reservations at Green Valley Grill, then watch the arrival of 2016 in your room, snuggled up with your honey, or come to the lobby for Jazz. The next day, enjoy breakfast in bed and an extra-late checkout of 4 PM. $329 plus taxes and gratuities, and stay an additional night for only $129 more. Greensboro Symphony Package: Package includes a $30 credit toward dinner and two tickets plus transportation to and from the Symphony’s “A Night at the Oscars.” On your return, find housemade chocolate truffles and sparkling wine in your room. The next morning, enjoy a full Southern-style breakfast buffet and a late checkout of 2 PM. $319 plus taxes and gratuities, and stay an additional night for only $129 more. New Year’s Eve at Green Valley Grill: We’ll serve our full dinner menu, plus a special four-course prix fixe menu, and the bar will be open until 1 AM. On January 1 we’ll serve brunch from 10 AM–4 PM. New Year’s Jazz at O.Henry: Two performances on New Year’s Eve for those who want to celebrate early (Dave Fox and Jessica Mashburn from 5:30–8:30 PM) or late (Randy Craven and Sheila Duell from 9:30 PM–12:30 AM), plus craft cocktails and a Mediterranean tapas menu in the Social Lobby. On December 31, in Cary and Greensboro we’ll serve a special menu along with our regular dinner menu, and the bar will be open until 11 PM. New Year’s Day Menu: We serve “Good luck” food like collard greens, country ham with red-eye gravy, grilled pork loin chops and Hoppin’ John all day. Looking for a recipe? Please visit our restaurant websites for special gift-giving recipes and other recipes (or email lhealy@qwrh.com if you don’t find what you’re looking for).